RDST Limited understands that your privacy is important to you and that you care about how your personal data is used. We respect and value the privacy of all of our customers and will only collect and use personal data in ways that are described here, and in a way that is consistent with our obligations and your rights under the law. Limited company registered in England under company number 06762478. Registered address: 95 Westgate Street, Gloucester, GL1 2PG. 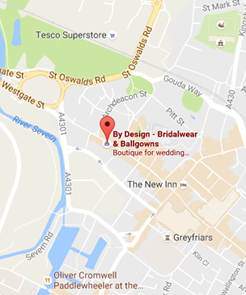 Supplying you with information by email and post that you have opted-in to (you may unsubscribe or opt-out at any time by emailing info@bridalwearandballgowns.c.uk).